4,000 heads of lettuce every 10 days: Local Roots‘ shipping container farms achieve that while using 99 percent less water. Today the LA-based company announced that it has reached cost parity with traditional farming – and they plan to deploy over 100 farms in 2018. 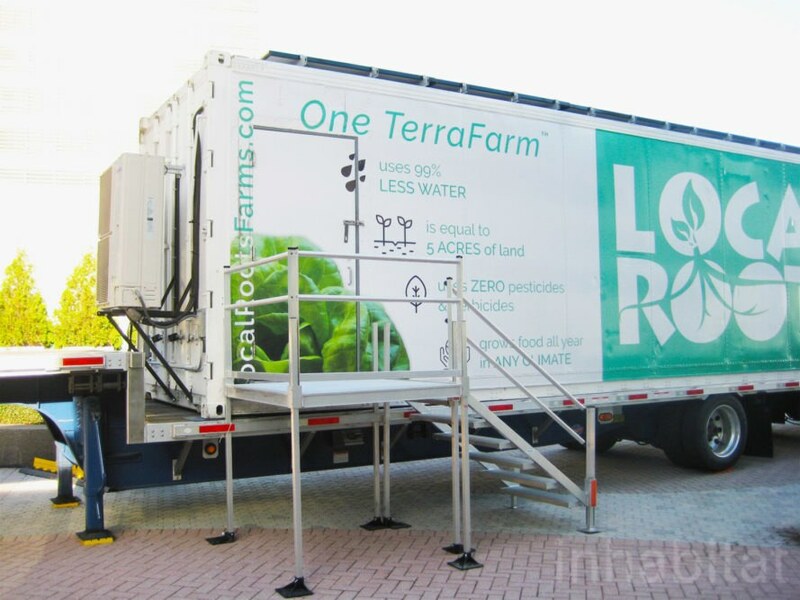 Inhabitat checked out their mobile TerraFarm in New York City and met with CEO Eric Ellestad and COO Matt Vail to learn more. We visited Local Roots’ TerraFarm in Manhattan on a windy, chilly December day, but inside, green butterhead, red butterhead, green leaf, and red leaf lettuce was thriving. Vail and Ellestad started the company around four years ago on a mission to boost global health and seek sustainability in farming. A few statistics that fuel their mission? For one, the United Nations’ Food and Agriculture Organization estimates agriculture is responsible for over 25 percent of global greenhouse gas emissions. And then, 52 percent of the food we do grow in America doesn’t even make it to the consumer, according to Ellestad. Their indoor farms address those issues. 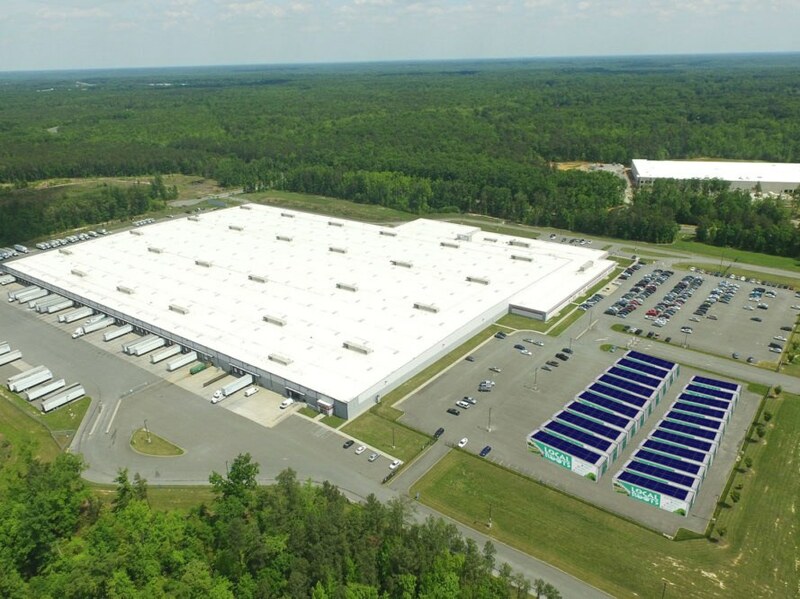 They can deploy TerraFarms right at or near distribution centers. 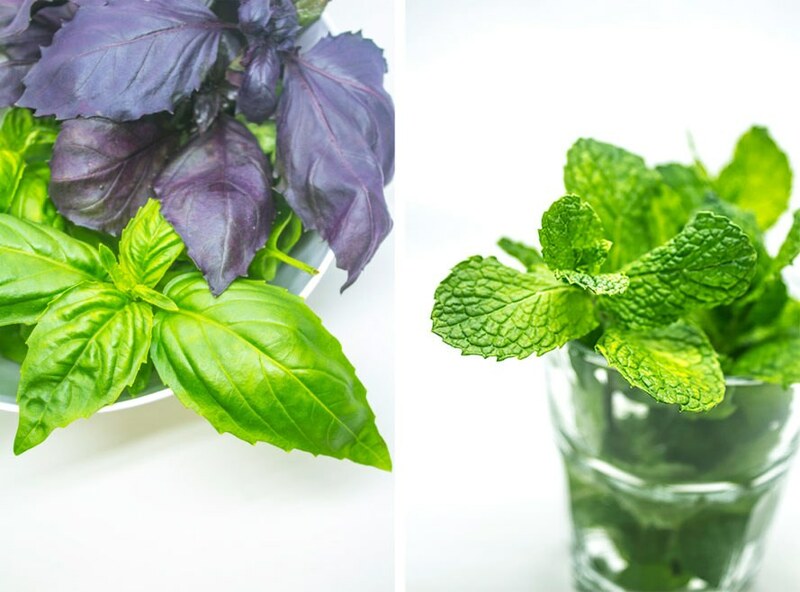 They design, build, deploy, and efficiently operate the vertical farms, and sell the food – which they think is even better than organic produce. They also see an accelerated growth rate in their TerraFarms. Ellestad said crops will grow two or three times as fast as they would in a field since they can create perfect growing conditions for a plant. They can reuse or recycle all of the water – their biggest use of water is actually for cleaning the farms. And since they can control the environment, they can grow local food year-round. Solar panels line the roof of the mobile TerraFarm in Manhattan. They could generate three kilowatts, enough to operate the farm in sunny California, according to Vail. 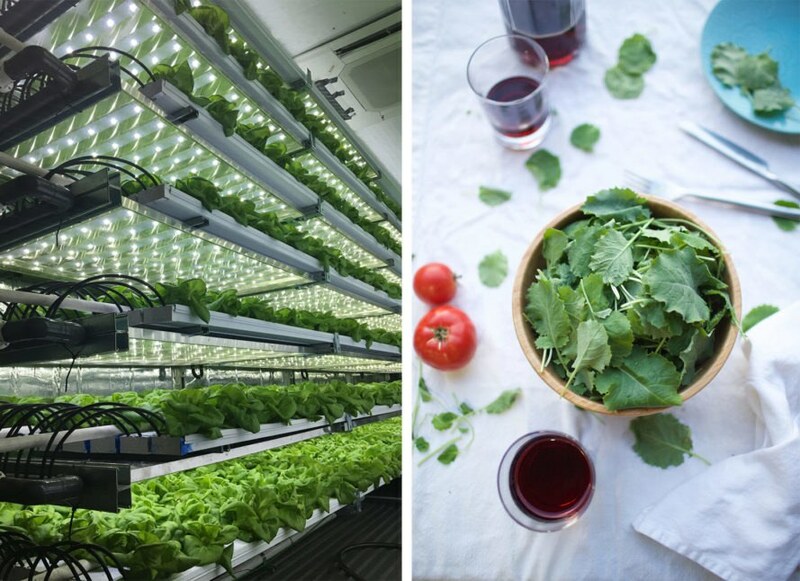 The indoor farms can go off-grid with solar or wind and batteries. Local Roots tends to evaluate the local grid before deploying a farm to see if it’s clean or if they might want to add a source of renewable energy. Now that they’ve cracked the code for cost parity with traditional farming, Local Roots will be expanding in a big way in 2018. They’ll deploy their first projects outside of the Los Angeles area, and plan to hire around 150 people. Ellestad said they’re also launching their retail brand in a new way. They hope to be on the East Coast by the end of 2018. Local Roots is working with the World Food Program (WFP) to deploy and field test a few TerraFarms in 2018 in a developing nation to be determined. These farms will be off-grid and likely equipped with solar power, so they will be self-sustaining; locals will just need to bring in water. Find out more about Local Roots on their website. 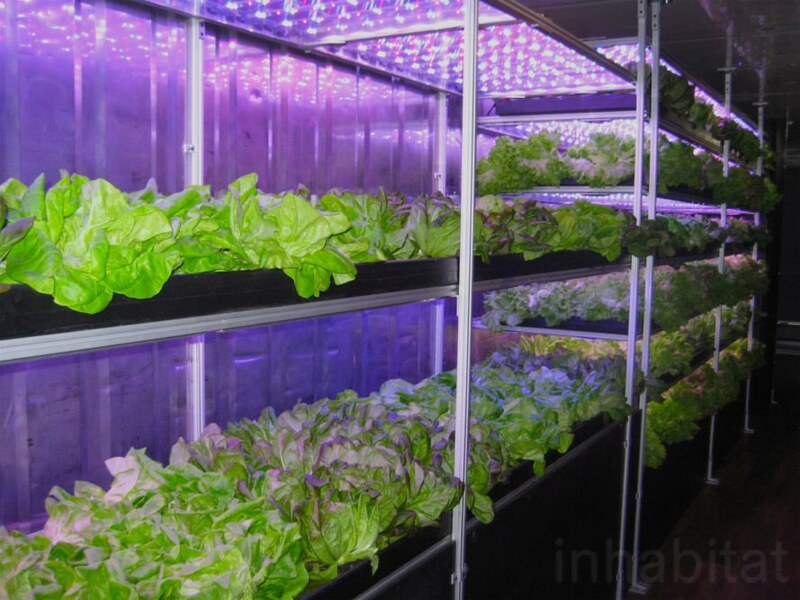 Inhabitat visited Local Roots' mobile TerraFarm in New York City. Local Roots can grow five acres of food in a 40-foot shipping container. Solar panels lined the roof of the mobile TerraFarm. 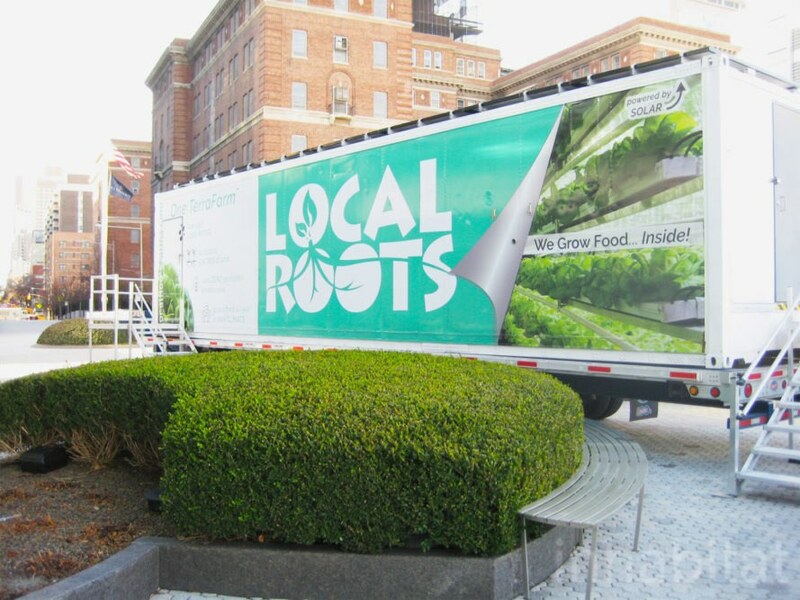 Local Roots deploys and operates their TerraFarms, and sells the produce they grow. 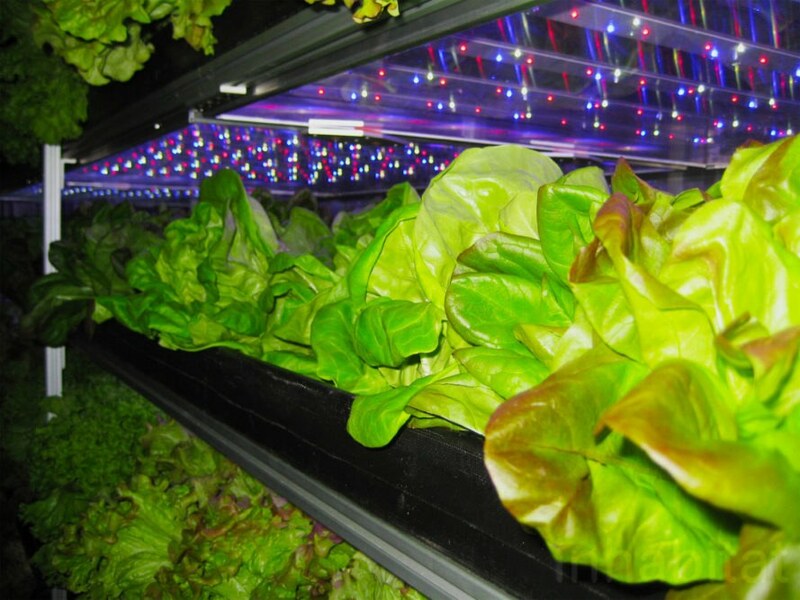 Four varieties of lettuce were thriving inside the mobile TerraFarm. 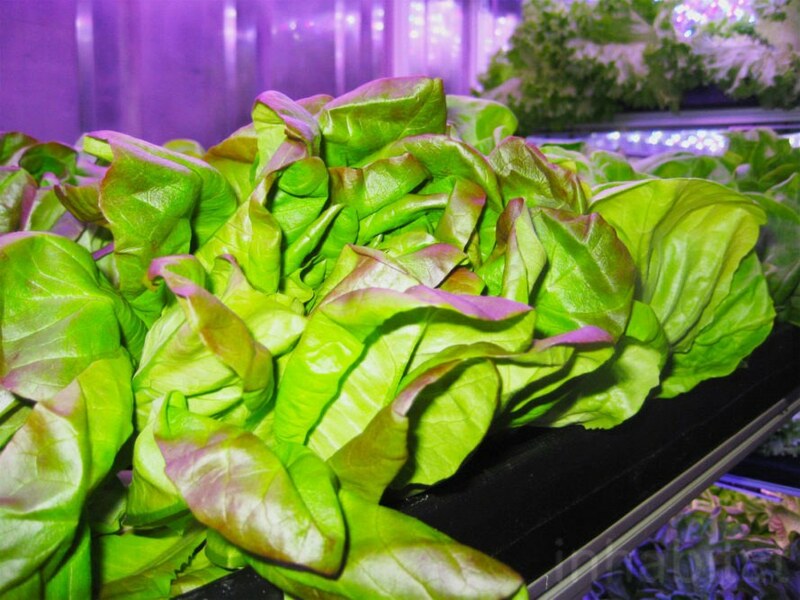 Local Roots was growing green butterhead, red butterhead, green leaf, and red leaf lettuce in the mobile TerraFarm. Local Roots can control the conditions inside to optimize nutrient density. Local Roots can reuse or recycle all the water in their TerraFarms. Local Roots is on a mission to improve global health. 99 percent less water. 4,000 lettuce heads every 10 days. Los Angeles-based vertical farming company Local Roots achieves all that in their shipping container farms - but today they announced they've also reached cost parity with traditional farming. They plan to deploy over 100 farms in 2018. Inhabitat checked out their mobile TerraFarm in New York City and met with CEO Eric Ellestad and COO Matt Veil to hear more.